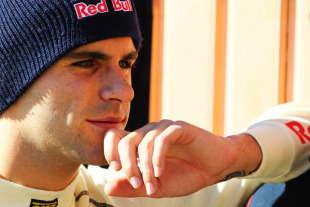 Jaime Alguersuari has hit out at Red Bull for the nature of his removal from Toro Rosso and preventing him from finding a new drive in 2012. Alguersuari and team-mate Sebastien Buemi were replaced by Daniel Ricciardo and Jean-Eric Vergne in December, with Alguersuari's removal appearing to be particularly harsh. Via a Spanish Q&A on his website, Alguersuari revealed that Red Bull had verbally agreed that he would continue at Toro Rosso, but then dropped him with no time to find another drive. "When Red Bull Racing told me last December 13 that I would not run for them in 2012, I didn't judge them; I do not feel the victim of a drama," Alguersuari said. "Nor do I judge them now, after almost two months. But I have to say it has done much damage, especially unnecessary. "In the Brazilian Grand Prix it was verbally confirmed that I would continue. That same weekend I had rejected a very good deal after receiving this confirmation from Red Bull and STR. Toro Rosso a few days later sent me to Cepsa in Madrid to participate in a ceremony awarding medals to the employees over the company's long history. At their Christmas dinner, I also talked about my relationship with Toro Rosso and Cepsa in 2012 with a script designed from Faenza. "A couple of days later I was told by phone that I was no longer continuing. Two calls were less than two minutes. Neither I nor anyone else will ever understand why, I had fulfilled all expectations at length I was asked by the team, having improved the position from 2010 and having beaten my teammate, I would cease on 14 December with no reaction time to find a good seat in 2012." Alguersuari admitted that he did speak to HRT team principal Luis Perez-Sala, but that both men agreed that joining the team would not be the best move for his career. "When I heard Red Bull's decision in December I got in touch with Luis Perez-Sala, my friend and mentor since he was in Formula Renault 1600 in Italy. Fortunately we both agreed on the same sentiment; HRT does not have a car to me today and I cannot settle at this point for fighting to improve a car, which of course will be far behind. Luis agreed completely from the first conversation but I also want to express my confidence in De la Rosa, in his experience to develop and improve these cars and equipment and open new opportunities for the future. I am convinced that the man who runs HRT group will build a team and a competitive car in the future. While a seat with Williams was also available at the time, Alguersuari said: "The choice of Williams was not even crossed my mind. They now only need two pay drivers." Despite not being on the grid in 2012, Alguersuari added that he had held talks with "one of the best teams in F1" and was ensuring that he was fully prepared if and when an opportunity comes along. "I am a professional driver, with substantial experience and proven results. I'll never pay for running. During the month of January I have had discussions that may be decisive in my future with one of the best teams in F1. I have received much love and respect and we have opened a path. For obvious reasons I can not reveal the nature of our intentions. What I can say is that I have pledged to devote body and soul to F1 in 2012. Prepare physically and permanently to be willing and available to any opportunities that arise during the season and that's what I'm doing."